Even though Node is fun, easy and cheap to work with, we spend a lot of time writing boilerplate codes because structure and organization is missing. With the create feature implemented, we must have created posts in our store. These posts will be read from our store and displayed on the browser. The :id part of the URL is a placeholder for the route parameter. The parameter will be a unique value that points to a given post. The controller’s read action method receives the id parameter from the request object. We then use the model’s find method to find a post based on the value passed in. The default values are set using the existing values in our store. The post’s id is also available on the form via a hidden input. Note: Best practices suggest that you do not use GET to update state as we are doing right now. For the sake of this demo’s simplicity, we can overlook that practice. Contents are always accompanied with images. 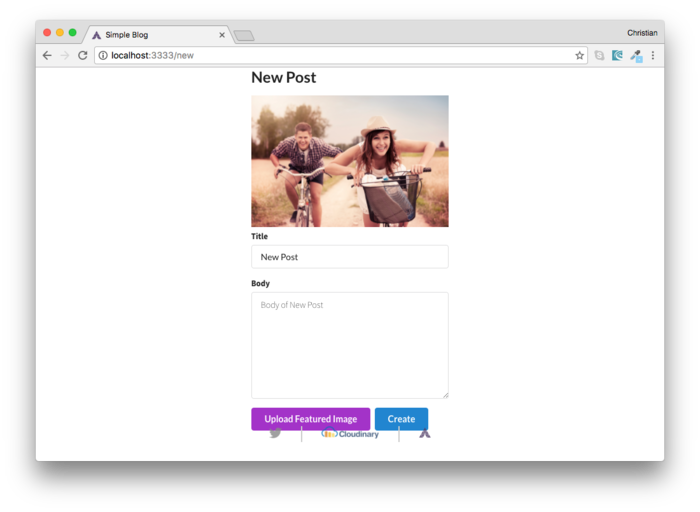 In the case of a CMS, these images could be embedded right inside the content or serve as a banner to a given content. The banner is usually known as a featured image. 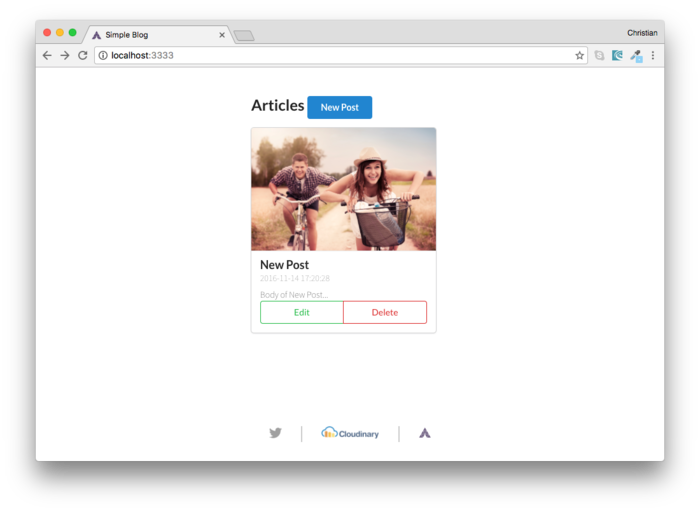 Cloudinary is the image management back-end for web and mobile developers. 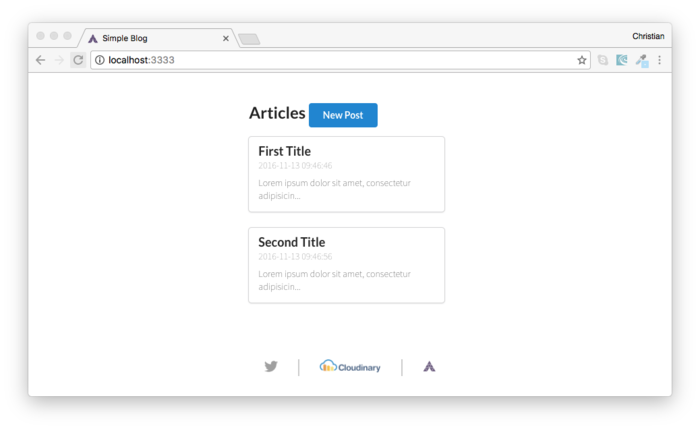 With Cloudinary, we can add images to our content with ease, thereby saving as the hassle of managing storage, as well as image uploads, downloads, manipulation, delivery and administration. 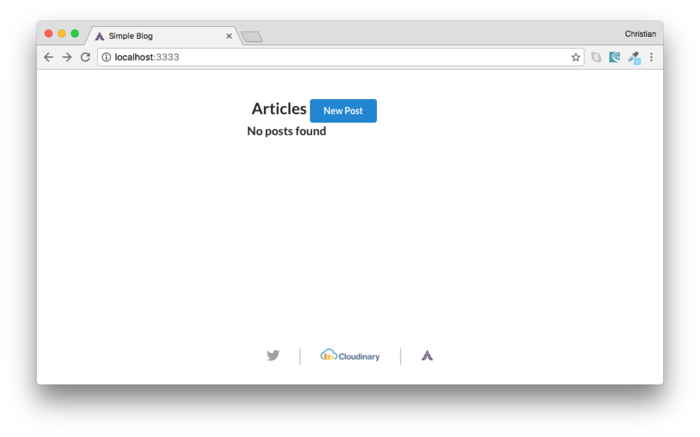 With the Cloudinary free account, we can begin using these features in our projects. Let’s see how by adding a featured image to our posts. After you set up a Cloudinary account, you can create an upload preset. Upload presets enable you to centrally define a set of image upload options instead of specifying them in each upload call. We will use the preset when making an upload request. The plugin depends on jQuery, so we also added our defined script.js file to the setup. The above listens to a click event on a button in our view. When the button is clicked, the upload process starts. After an image is uploaded and returned, the image is displayed above the form. The URL is also embedded in a hidden input so it can be sent to the server and stored for future use, as well. Have a look at the complete demo project. Adonis is an awesome framework that is great to work with because of its simplicity. Media management can cause you sleepless nights, not just with Adonis, but any server-side framework. Cloudinary eliminates the stress and shortens the time you spend on media management, enabling you to focus on building out the other aspects of your application. Christian Nwamba is a code beast, with a passion for instructing computers and understanding it's language. In his next life, Chris hopes to remain a computer programmer.